ArabSaga: Why should Saudi Arabia feel anxious and lonely? Saeed al-Wahhabi is a young Saudi writer with a blunt and concise style of expressing himself in writing. Yes, it was a tough night. 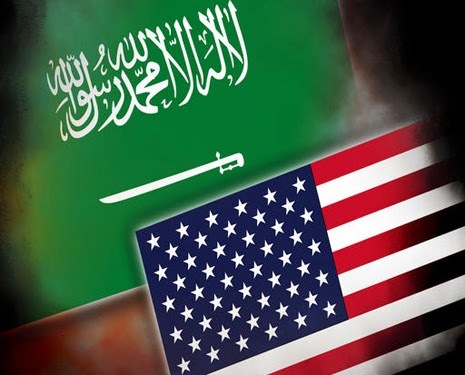 Until an official (Saudi) statement cautiously welcoming the agreement was released, the ghosts and illusions of threats and isolation made the rounds. In context, I personally told Agence France-Presse (AFP) Iran softened her nuclear ambitions in order to win hegemony over the region. But the public’s anxiety and dejected feeling were unwarranted. The agreement reached in Geneva last Sunday is natural and a commonplace occurrence in history, which should rid the region from the specter of war that has been hovering in its skies for over a decade. When serving as Saudi ambassador to the United States, Prince Turki al-Faisal coined a brief answer explaining Saudi Arabia’s position on Iran’s nuclear program. This was because he would be asked about the subject each time he held a stateside press conference or met with U.S. officials. The new Iran deal dispels our bad dreams – at least during its six-month timeframe when Tehran will freeze its progress towards a possible nuclear bomb and Israel won’t launch a preventive strike against Iran to prevent it from obtaining nuclear weapons. There is also a chance of the November 24 interim agreement making a permanent check on Iran’s nuclear ambitions and bringing permanent peace to the region. What should be a matter of concern for us Saudis are the state of “anxiety and apprehension” and the case of “going to bed (if at all) feeling lonely” as Wahhabi suggested in his tweet. Such negative reactions are a source of concern for the express and endemic lack of confidence in our ability to cope with overdue change in the region. We got “used” to being dependent on the U.S. as a strategic ally that will invariably lend us a hand in times of crises. Then came Turkey’s rise as a regional power, Egypt’s eclipse for internal reasons associated with the Arab Spring, and Pakistan’s hibernation after the wounds it sustained post 9/11 and its mini civil war with the Taliban. It can be argued that Saudi Arabia stand alone in facing up to Iran and her regional ambitions. That’s despite the kingdom having common interests with Turkey and Qatar for instance in the Syria war, and with the UAE, Kuwait and Qatar in Bahrain’s turmoil. Nonetheless, there is no united front or agreement to confront Iran. All the countries I mentioned now and earlier have links and interests with Iran. But they all lack a common strategic agenda for action on the Syria front. This has allowed the Syrian regime and its Iranian backer to score victories over opposition forces. The November 24 agreement did not give Iran a free hand in the region. But her hands were not exactly tied behind her back before the agreement. Proof is Tehran’s unchallenged military intervention in Syria. Iran is thus aware the West is not particularly interested in what she is doing in Yemen or in Bahrain so long as the IAEA inspectors are going about their jobs freely and the enrichment of uranium is not exceeding the agreed level. Iran will thus enhance its activities in places like Yemen and Bahrain in order to test her new relations with the West. Saudi Arabia would have to face this alone, but not necessarily. She still has common interests with regional heavyweights. But a restructuring of Saudi Arabia’s defense policy is imperative – starting with an acknowledgement that reliance on the United States is unhealthy. The fact America turned her back on us was not a whimsical Obama move. It was a well thought out U.S. policy resulting from ongoing changes in America’s priorities. The Kingdom of Saudi Arabia would thus have to redraw the map of her regional alliances. Turkey is key. Her leaders want special relations with the kingdom. But Egypt is yet to come back from the wilderness. The most that can be heard from Cairo is, “We support all what you do” – except that Cairo did nothing for Syria. Pakistan too needs a friend’s help to make up with the Taliban, allowing the Pakistani army to resume its national duties. It will also be necessary to open channels of communication with Iran, even while the confrontation persists. Tehran repeats every five minutes that it wants good relations with the kingdom. Let’s take after the Iranians’ diligence and hear what they have to say. The region’s problems are many. They multiply when neglected but they can be solved. The region also harbors allies and friends of ours. We don’t have to feel lonely after that dreary Sunday.